As the saying goes, time is money, and this couldn’t be more true when you are trying to accomplish work on a computer. Based on your computer knowledge, simple tasks can take longer than expected if you don’t know some common keyboard shortcuts or if you don’t know what exactly you are doing. To help you save time (and money) the next time you use a computer, here are 25 Windows keyboard shortcuts that can come in handy during many computing situations. Designed to make your workflow more efficient, the following hotkeys can be used across several computer programs (including the Microsoft Office suite and web browsers). 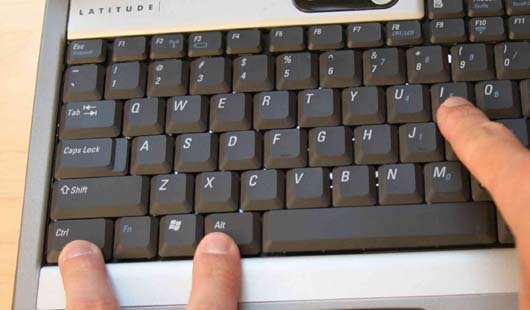 The following Windows keyboard shortcuts can make life on the web much easier. Try these web browser shortcuts to navigate the internet much more quickly. ALT + HOME = Navigate to your browser’s default Home pageThese Windows-specific shortcuts will help make various common Windows tasks much quicker to perform. Try these Windows shortcuts to ease the redundancy of everyday Windows tasks. These Windows keyboard shortcuts should help make you much more productive while using your computer, whether you are trying to complete some real work at the office, or you are just having fun on your personal computer at home. Also, don’t forget that Windows also allows you to create your own shortcuts to open programs much more quickly. These custom program shortcuts start with CTRL + ALT + Your Custom Key (for example, you could create a shortcut to Photoshop like CTRL + ALT + A). Create a desktop shortcut to the program you wish to have a keyboard shortcut to. Now, press the key you want to bind the shortcut to (no need to press CTRL + ALT yet). That’s it! You can try out your custom keyboard shortcut by pressing CTRL + ALT + your key! Enjoy using these shortcuts to it much easier to use any Windows computer… and find a new hobby to occupy the free time you’ll gain!